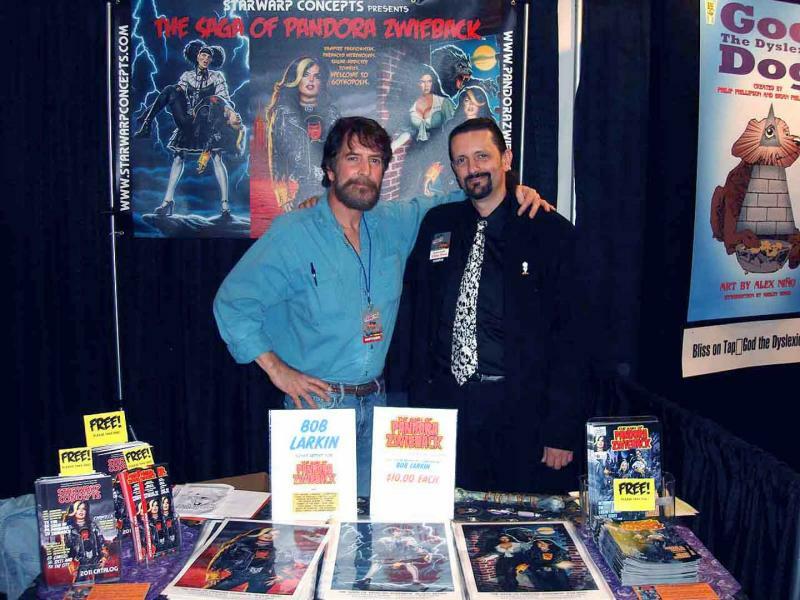 Join the Bob Larkin blog! Fantom Press is proud to bring you a signed and numbered edition of PULPlications.com debut effort: The all new pulp hero DARE DEVLIN! 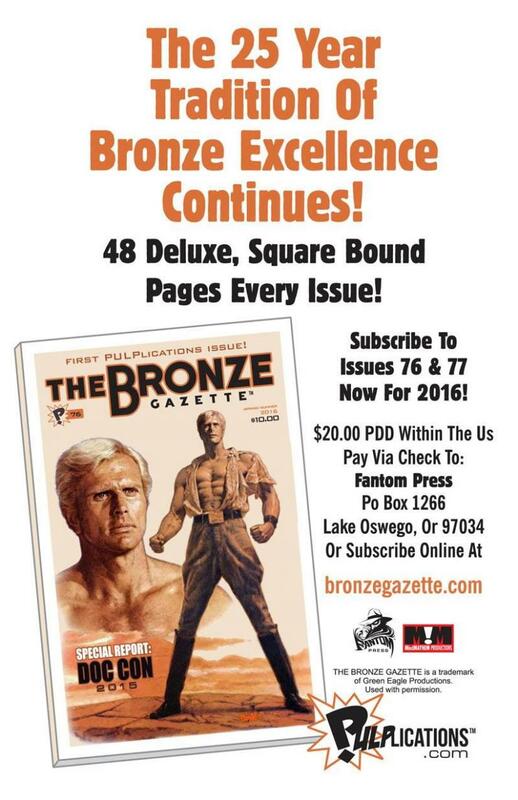 The 25 year tradition of all things bronze moves to Pulplications and Fantom Press! Click here to subscribe to the new source of bronze knowledge! It’s with a heavy heart that I write with the sad news that Fran Larkin, wife of Bob Larkin, passed away April 23rd after a 12 battle with cancer. ﻿As most o f you know, I’ve spent the last 5 years working on projects to help the family off set the monumental costs of Fran’s care. That commitment doesn’t end here. More projects are moving forward and our commitment to Bob and his family remains strong. Fantom Press is proud to announce the publication of the Bob Larkin Sketchbook 2013: Speculations in Bronze. This 48 page B&W sketch book is filled with a variety of concept art, studies, and private commissions that primarily revolves around one of Bob’s favorite and best know assignment, Doc Savage. There is a heading dose of other will know characters as well that Bob has painted over the years, many of whom end up in the most unlikely team-ups ever. All proceeds from the sales of the sketch books go directly to help offset mounting medical bills that the Larkin family faces. Bob’s wife, Fran, has been battling multiple forms of cancer for the past 12 years and it’s to the point that Bob is her care giver 24/7. Fantom Press was created to help ease burden the Larkin family has felt while also giving Bob a creative outlet. Profits from all sales go directly to the family. There are three different versions of the sketch books available. The paper back is 8 ½” x 11” , square bound, black and white and is signed and numbered in an edition of 500 for only $20.00 per copy. 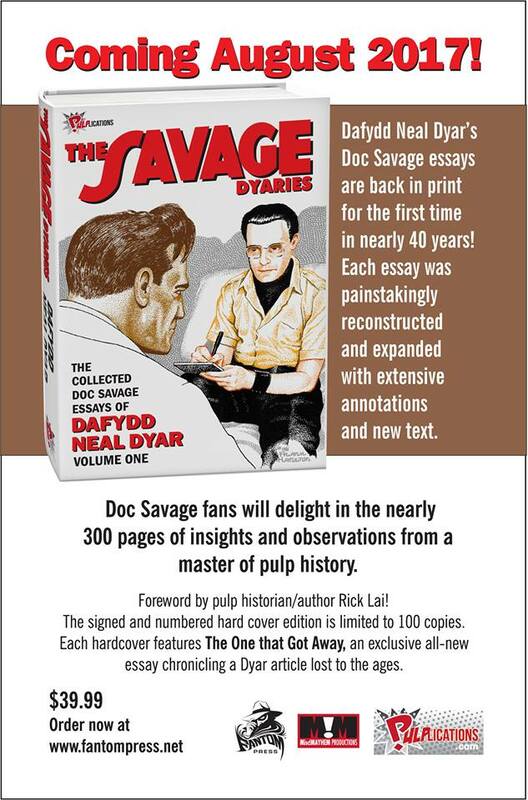 The Special Edition hard cover includes an extra 8 page section if color featuring 8 all new paintings of Doc and friends by Bob. The book is 9” x 12”, cloth bound covers with dust jacket and is limited to 30 signed and numbered copies for only $60.00 per copy. The Deluxe Edition includes the 8 page bonus section and is bound in bonded leather and comes with your choice of an original, one of a kind, water color illustration by Bob. The illustrations have an image area of 5” x 7” on an 8/12” x 11” board. The book and painting are housed in a custom built storage case that allows the original art to be stored safely along with the book or easily removed for display of framing. We're the home of some of the finest collectibles on the market. We're the proud partner with artist Bob Larkin and have a number of signed items exclusive to us.